Jim Woodring. Still from Frank in the 3rd Dimension, 2015. 3D digital video. Pen drawings: Jim Woodring, 3D conversions: Charles Barnard. Courtesy of the artist and Fantagraphics Books. The fact that the Frye Art Museum, located on Seattle's First Hill, offers free admission and parking seems nothing short of a miracle in our ever-more-expensive city. But despite a price tag that invites browsing and many other attractions (a wonderful founding collection of 19th and 20th century art, a peaceful, immaculate space) — the museum has yet to be discovered by many families. The Frye's new exhibition, Genius / 21 Century / Seattle may help change that. Part of the Frye's recent focus on showcasing innovative works of contemporary art, Genius is a large-scale ambitious, 14-week exhibition co-curated by museum director, Jo-Anne Birnie Danzker and Erika Dalya Massaquoi. Genius spotlights a rotating selection of 25 commissioned works and premieres created by 65 artists who work in a variety of disciplines, including literature, music, dance, sculpture and performance art. Featured artists include well-known names such as Sherman Alexie; cartoonist Ellen Forney; and hip-hop group Shabazz Palaces, all of whom have been recipients of The Stranger's Genius Awards. The Frye received its own Genius award in 2005 for championing just this sort of ground-breaking, experimental art. Though some of the content is more appropriate for adults, many aspects of the exhibit — especially the performances — are appealing to families, offering a way to expose kids to a wide range of artistic processes and styles. Genius has a number of installations that will appeal to a younger audience; and parents can engage kids before going by exploring the exhibit on a microsite that is chock-full of striking visuals, videos and multimedia. For example, a video shares the intensive and technical process involved in creating You Always Leave Me Wanting More, a full-room installation from SuttonBeresCuller. 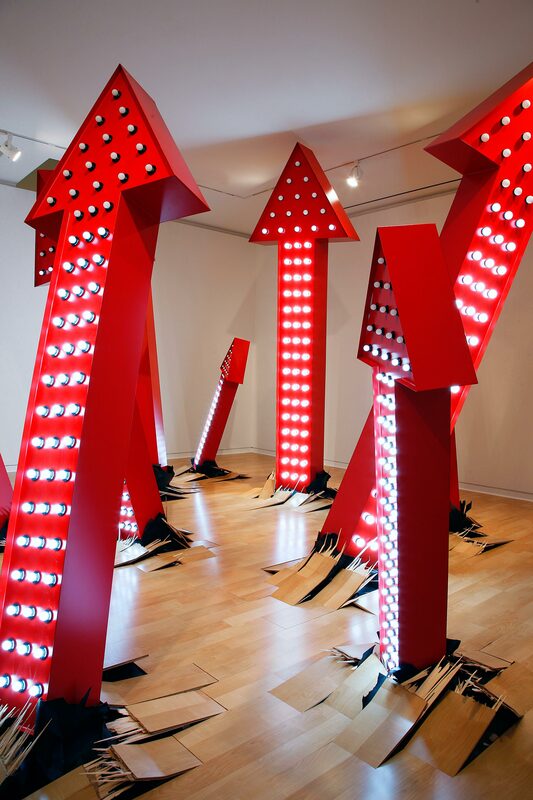 The piece consists of massive, flashing, red arrows that appear to have burst up through the broken floorboards. Learning about the extensive preparation involved in creating this large, dynamic piece will pique kids' interest. 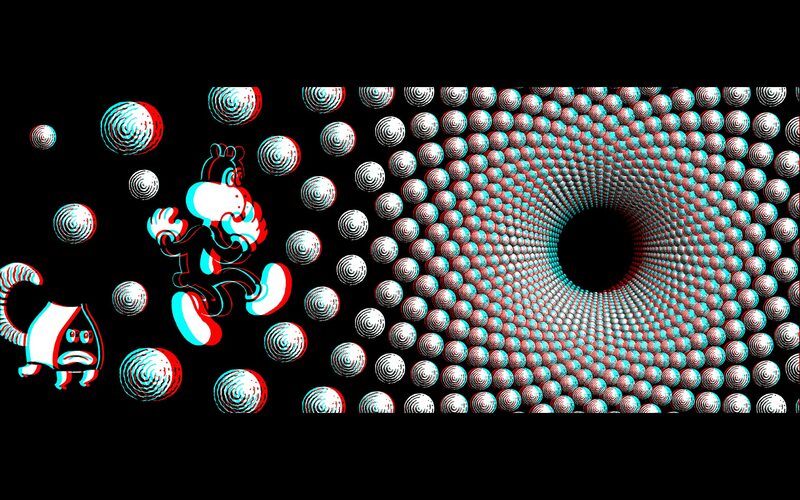 Comic-loving kids will enjoy watching a video about comic artist Jim Woodring's process; Woodring is exhibiting a 3-D video set of illustrations titled Frank in the Third Dimension throogh Oct. 18. Becoming Something, Within Without, by Pacific Northwest Ballet: A piece commissioned by the Frye that lets viewers watch a new dance be created and performed, featuring PNB students and a selection of songs by musical group Animals as Leaders. Oct. 15, 5–7 p.m. Decade by Industrial Revelation, celebrating the release of their new album, Liberation and the Kingdom of Nri. Oct. 9, rehearsal from 3–5 p.m., performance, 7 p.m.
We Were, by zoe | juniper, a "durational performance" of this immersive exhibit with video projections and sound. Nov. 5, Nov. 12, and Dec. 3, noon–6 p.m. Vicious Circle by Eyvind Kang and Jessika Kenney/ Dec. 3, 8–9 p.m.
Parents should monitor younger children’s experience of the exhibition, as a few of the performance exhibits include explicit language and themes more appropriate to a mature audience. But the museum has made certain that these are presented in a controlled way. 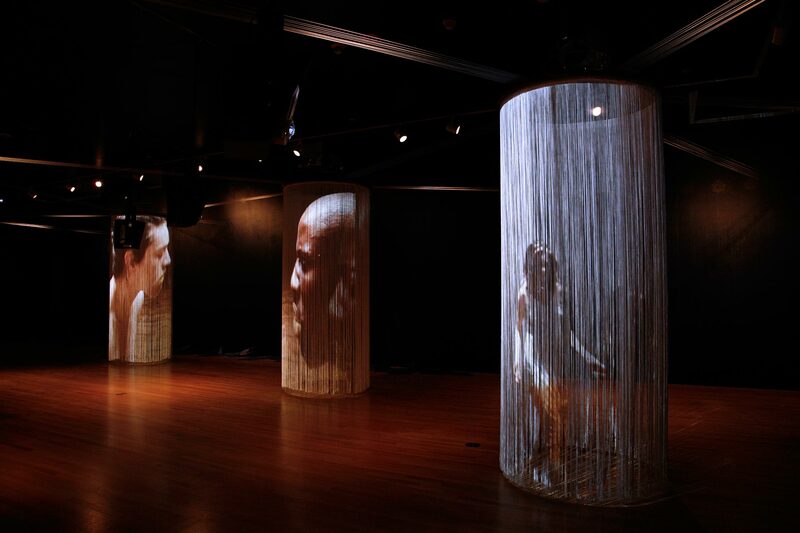 For example, a video by performance artist C. Davida Ingram has a sound dome over the viewing bench so the audio content can only be heard by those who sit down to watch. Probably the most striking thing about Genius is that it turns the traditional view of a museum as a staid, unchanging environment on its head. Instead, viewers are left with questions, which could serve as a starting point for discussion. - What makes this art? - How did the artist come up with this idea? Parents may want to prepare by reading about the pieces they will see beforehand. Then again, it may be more interesting to let your kids lead the discussion and tell you what they think about what they are seeing. No matter how you choose to experience it, the diverse, ephemeral nature of Genius has the potential to spark inspiration and ambition in developing artists of all kinds by reminding us that creativity has no limits. Parking: Free parking is available in a lot directly across the street from the museum entrance. Age: Recommended for ages 5 and up, with some content most appropriate for older kids ages 10 and up. Prepare: Peruse the exhibition website to get a peek at some of the exciting pieces being presented and the innovative work involved in creating some of the larger installations. Ashly Moore Sheldon is a Seattle-based writer and editor. When not working, Ashly enjoys soccer, gardening, reading and playing with her friends. She also relishes the time spent with her husband and two surly teenage children.